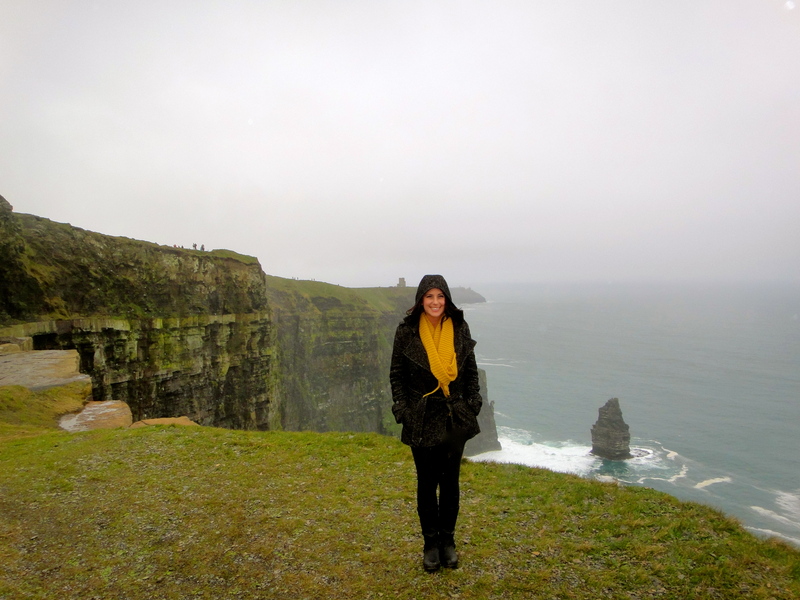 One of the most spectacular ocean views I have ever seen are those of the Cliffs of Moher. 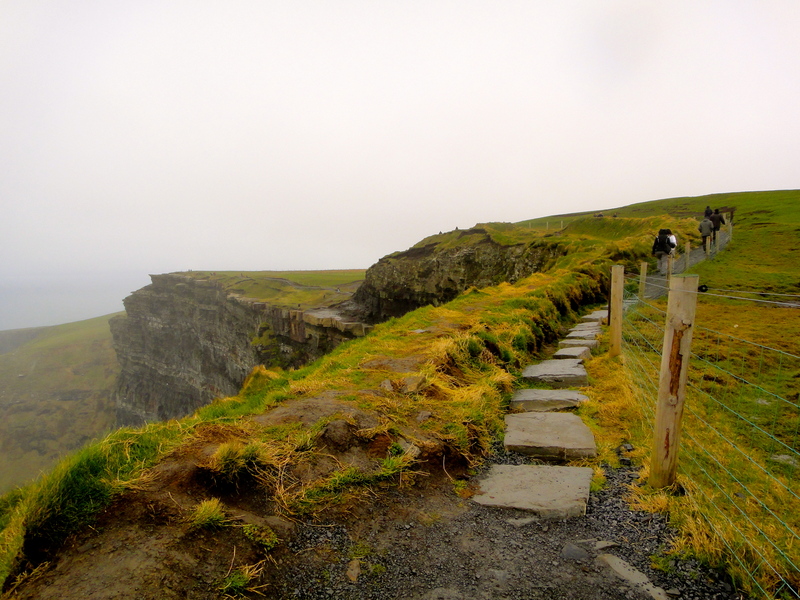 The cliffs are not sturdy, and after a certain point, the barrier walls end; numerous suicides take place here and quite a few tourists have also fallen to an early death after slipping off the edge. With that said and safety precautions in measure, there is nothing more rewarding than walking up the pathway, on top of slippery grass-covered ledges and peaking over the edge yourself! The entire walk is 8km long (yes my fellow American readers, I too had to Google how much that is… it’s 5 miles), and if you do attempt it, you should probably be dressed in waterproof gear seeing as the weather changes every 2 seconds. I couldn’t suggest more to any and everyone I know or who loves traveling to put seeing these cliffs on the good ol’ bucket list if they already aren’t. I spent about an hour and a half there, which was perfect although I could have definitely stayed longer. A HUGE thank you to Shamrocker Adventures for hosting my travels! All opinions, like always, are my own. The rain just makes it look even more mysterious and romantic. Although I was happy with the sunny days while we were there. Have you had a chance to listen to local, traditional Irish music? Yes! I listened to a lot of it and fell in love with it. Definitely makes the pub more fun! As a long-time hiker, I found I much prefer doing trails measured in kilometers… after a lifetime of miles, the numbers make me feel so much more athletic! I just can’t seem to understand what they translate into! That and the whole celsius/fahrenheit thing. Yep, you already lost me! With all you have seen and all you have been too. Seems you are with a great tour.. Gonna have to put this on my list! It looks BEAUTIFUL! This is now on my bucket list! It better be!!! Seriously, the entire country of Ireland is amazing. You have to see all of it!